SHIPS FAST IN 1 DAY IN: Black, Brown, Cream and Latte leathers. SHIPS IN 60+ DAYS IN: Most other fabric and leather colors which are special order. Comfort and Productivity Comes Standard with a Stressless Consul Office Chair from Unwind.com. Why not consider one of the following optional accessories: the simple Swing Table, the ultra-convenient Personal/Laptop Table, the useful Ellipse Table, the stylish Urban Table. To view any of the amazing leather or fabric types and colors the Stressless Consul office chair can be purchased in, simply use the pull down menu above, which is titled: "Select Leather or Fabric Type and Color". The price of the Consul Office Chair will change based off of the leather or fabric type and color chosen with the pull down menu. Looking for a color that is not listed on the pull down menu? Call 888-486-9463 to speak with an Ekornes Furniture Specialist. Enjoy Fast, Worry-free Delivery on a Stressless Consul Ergonomic Office Chair. Start relaxing in your beautiful new Consul Office Chair sooner with our Quick and Easy Shipping Methods. It's a great time of year to purchase from the amazingly comfortable, Stressless Consul Office Chair line! This popular, modern recliner delivers exquisite head, neck and back support and the over-stuffed smooth, soft, cushioning allows you to sit undeterred for many hours on end. The Stressless Consul Office Chair is among the most modern and comfortable of the Stressless recliners available. Now use the pull down menu above, which is titled: "Select Leather or Fabric Type and Color", to choose a Leather or Fabric Type and color Selection. Then choose from the beautiful wood stains. Typically, we keep all stains in stock. The Discounted Pricing is displayed automatically (it's displayed next to the product images, top of page). If you have questions or want to double-check the current pricing, please drop us a line at 888-486-9463. There’s no better time than now to get your new Ekornes Stressless Office Chair. It’s time to be mindful and to take care of yourself. Nurture your back. It only takes a moment to imagine the improvement a little bit of comfort could make in your day. We ship fast. We can ship virtually anywhere and typically your items arrive Fully-Assembled. All you have to do is sit down and enjoy. We provide multiple levels of delivery to ensure there is an option to suit your needs. Ask us about Expedited Shipping Opportunities or our White Glove Services. Click here to learn more about Ekornes and here to learn more about The Unwind Company. Stressless by Ekornes Consul Office Chairs are made in Norway. They are the only brand office furniture in the world to be endorsed by the American Chiropractic Association. This is the largest Chiropractic Association in America. It is based in Alexandria, Virginia and serves as the national voice for the profession. The endorsement was officially announced early in 2002 but we wanted to take a moment and remind you that when you choose a brand-new Medium Stressless Consul Office Chair, you are not only choosing style. You are choosing a back-healthy seating solution. The patented comfort technologies found in Stressless Brand Recliners is identical to the technology inside the Office Chairs. They ensure correct and positive support for your head and lower back in any seating position. It’s one of the many reasons why these chairs are so much more comfortable than any other brand in the world. Plus System- This tech allows the headrest of your new Consul Medium Sized Office Chair to come forwards slightly as you recline in your seat. This allows you to easily carry on conversation, maintain eye contact with your computer or workstation or even enjoy a quick snack. Lumbar Support- The adapting ability of the lumbar support allows it to change shape as you recline to ensure you receive the proper amount of support at each changing angle. Work upright comfortably as you feel the lumbar support connecting with your lower back. Take a break, lean back, and relax as the inner frame changes shape to accomodate your body. 360° Swivel Base- the 360° range of rotation allow you to effortlessly reach items all around you with minimal strain. 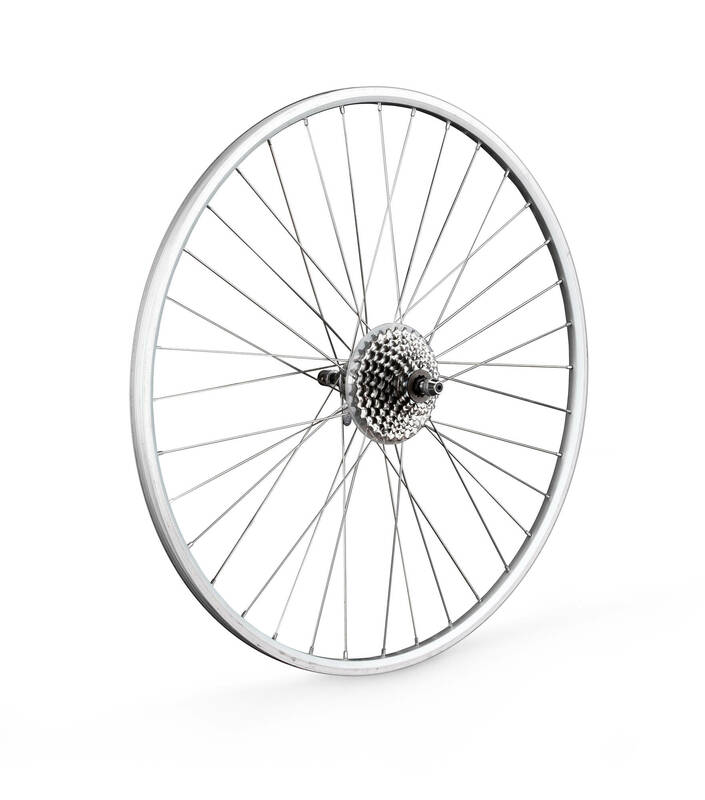 The smooth wheels allow you to easily navigate your work area with minimal effort. Glide System- the smooth glide wheel system allows you to recline or sit upright in your chair with a simple adjustment of your body weight. There are no levers to jerk or buttons to push. There’s no better time than now to get your new Ekornes Chair. You spend a majority of your time at work or working. Why wouldn't you want to make your seating as comfortable and healthy as possible? It’s time to take care of yourself and nurture your back. Imagine the improvement a little bit of comfort could make in your day. We ship Fully-Assembled and provide multiple levels of delivery to ensure there is an option to suit your needs. Ask us about Expedited Shipping Opportunities or our White Glove Services. Click here to learn more about Ekornes and here to learn more about The Unwind Company. They Look and Feel Like Ekornes Stressless Recliners - because they are Stressless Recliners. Experience full-body comfort at work or in your home office. Ekornes has taken ultimate comfort to a new arena, so that you can enjoy real Stressless comfort while working. We have tons of new Ekornes Office Chairs in stock for fast nationwide delivery! Stressless Office Chairs & Recliners arrive fully-assembled with Full Manufacturer's Warranty and our Money Back Guarantee. Choose Nationwide In-Home/Office White-Glove Delivery - Select White-Glove Delivery when you order your back-saving Stressless Office chair from Unwind.com and we'll bring your chair inside and even set it up (we'll even take the packaging when we leave). Call 1-888-486-9463, chat or email stressless@unwind.com to connect with a Stressless Office Chair Specialist. Looking for a Consul Office Chair? You have found the best place to purchase your chair. We guarantee the lowest prices authorized by the manufacturer. It's important to get authorized pricing because you want to work with a reputable franchise that will be around as long as your office chair. Ekornes provides a strong warranty and we are around to advocate for the customer. 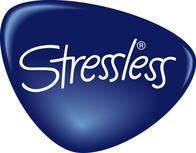 Stressless proudly includes a 10 Year Warranty for their furniture at no additional cost. They know that from the very beginning, they use only the finest materials in the construction of their back-healthy seats. From the tubular steel to the finest leathers, Ekornes selects only the finest ingredients for their office chairs. Leather is the most populat upholstery choice from Ekornes. There are currently 4 grades or different types of leathers. You can choose the Basic Batick, the Plush Paloma, the Sturdy Cori, or the Exquisite Royalin. The Consul line of chairs is typically stocked in Batick Leather. This leather is 100% premium leather. It is obtained from some of the finest and most reputable tanneries in Europe. It has a pronounced texture and a substantial layer of protective lacquer on its surface. This enhances its resiliency to stains and environmental stressors. It also economical in price which keeps your Consul at one of the best priced Stressless Chairs from Ekornes. It is certainly a great time of year to purchase from the bestselling, economical Stressless Diplomat, Consul, Ambassador lineup! This popular series delivers excellent head, neck and back support and the firm cushioning allows you to sit undeterred for many hours. This office chair line is always popular among the budget-conscious, healthy-back office furniture seeker. Select the Stressless office chair, recliner, sofa or sectional that fits you best. Choose your preferred leather type and color by selecting from the small color swatches underneath the desired leather type. Then choose from the beautiful wood stains. The Promotion Pricing is displayed automatically (it's displayed next to the product images, top of page). Want to add a matching Stressless Sofa, Loveseat or Sectional? You’re in luck as there are Ekornes Batick & Paloma Specials that will save you $1000’s. Simply choose a matching Batick or Paloma leather sofa or sectional model and watch the savings stack up! Leather is a terrific choice, if you want an upholstery that will stand the test of time. Ekornes' leather is a great choice if you want real leather. All Ekornes' hides are 100% Premium Top-Grain Leather. These beautiful hides are incredibly comforting to the touch and are available in a total of 75 different colors. You're sure to find a color that works for you and your room. As with all leathers, a little bit of maintenance and care annually will ensure you enjoy the leather upholstery for the maximum lifespan and beyond. Please feel free to check out our web page to learn additional details about leather care and maintenance for Ekornes' leather choices. Paloma Grade Leather is one of the most popular leathers available from Ekornes. This fantastic upholstery option is 100% pure, premium Top-Grain Leather. It is "through dyed" for color enhancement, environmental consciousness, and longevity. It has a distinctly smooth surface that makes it so much softer than Batick Grade Leather. During the manufacturing and tanning processes, Ekornes' engineers sand the grain away from this leather to provide a uniform texture and appearance. Almost all Stressless Office Chairs, Recliners, Sofas, Sectionals, and accessories have a stocked version in Paloma Grade leather, due to its popularity. Check out the numerous color choices available to you in this grade at our Ekornes Leather Page. Get the lowest price on a Stressless Consul Office Chair. The seams and designs are intentional efforts. They are known as "Comfort Zones". This is intended to enhance each person's comfort level and allow unique styles of seating. This allows each person to find that seat that supports their back and body in just the right place. The super strong steel frame and resilient flexo springs are concealed within multiple layers of high-grade foam. This cold-pressed foam is not only designed to withstand a lifetime of use but it is also "pressed" at the factory to reduce the amount of compression that foam cushions normally undergo. The Plus System™ is constantly adjusting and adapting to your every movement. This provides a specific type of continual support that has earned this brand an exclusive endorsement from the American Chiropractors' Association. The Glide System allows you to seamlessly sit, work, recline, and relax without using any levers or overly complicated mechanics. This is a patented Ekornes' technology. There may be competitors who claim to offer this technology but know you can only find comfort like this in a Stressless. The Office Chairs now even feature a "Gas Lift" Lever. This simple little lever allows you to raise or lower the height of your seat. Need more room for your legs? Simply lift off the seat and pull the lever upwards. Need it lowered? Pull the lever upwards whilst seated. The hydraulic action will lower you. This means no matter your desk or workstation, your chair should fit comfortably. The 5 stems of the Star-Shaped base provide a low center of gravity and a dependable foundation to support you for the lifetime of comfort that your body deserves. The sublime wood grain from the European Beech Wood can still be an option as there is still quite a bit of wood in these models. 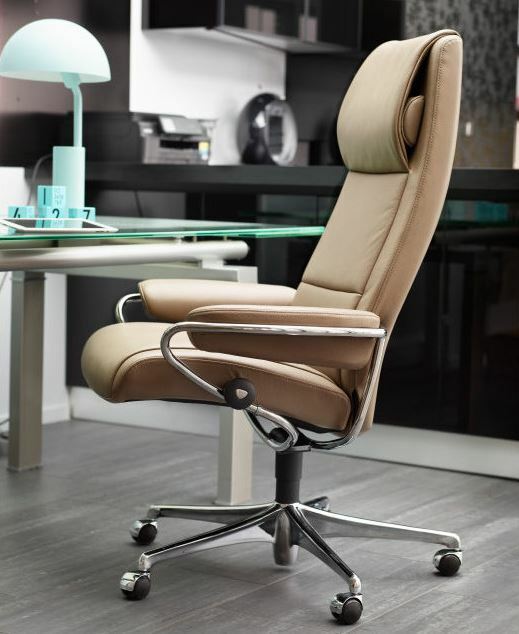 Welcome to the Stressless Consul Office Chair by Ekornes- In Stock Now! Learn about Stress-free White Glove or Inside Residential Delivery. Every Stressless has a relaxing story to tell, beginning and ending with the word "comfort." It has been the driving inspiration of Ekornes of Norway for the last 40 years. So, the entire time Ekornes has been making the world's finest back-care and total-body comfort recliners, they have also been thinking and researching the whole concept of true body comfort. It also means that every single detail in a Stressless is there for a reason. The sole purpose of Stressless by Ekornes is to make you as comfortable as possible. Now, they have taken this ultimate comfort a step further, so that you can enjoy real Stressless comfort even while you are working at home or office. Stressless is a trademark of Ekornes, in the beautiful country of Norway. The Unwind Company, Unwind.com and our network of relaxation and backcare sites & stores, are factory-authorized, nationwide in-home providers of Back-Saving Stressless Recliners, Ekornes Sofa's, Stressless Office, furniture and Accessories. 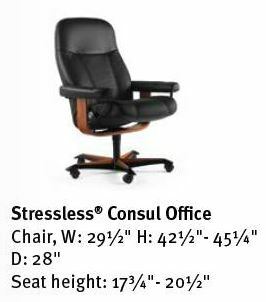 Choose Stress-free Nationwide Delivery on the Stressless Consul Office- Save big on delivery & sales tax benefits - We offer Fully-Assembled, Stress-free delivery to anywhere in the continental United States. We have multiple locations around North America where we can ship Stressless Items quickly. If you want it faster, we do have the option in some regions for Expedited Delivery. You can speak to a Customer Support Team Member about these options at 888-486-9463. However, we also ship in-stock items to almost anywhere in the country in 2-5 business days so who needs expedited services? Consul Office Model will arrive fully-assembled with the Full Manufacturer's Warranty and our own 30-day Money Back Guarantee. If you would like to learn more about our Shipping & Returns Policy, please be our guest and read over it here: Shipping & Returns from Unwind. *Our popular White-Glove, Inside-Delivery Service is offered to most delivery addresses in the "upper 48" United States. In the extremely rare case that we cannot deliver using this delivery method, we will drop you a note &/or line before shipping your furniture, to offer an alternative method to match your needs perfectly and without additional charge. We have a growing selection of Stressless Office Chairs in-stock now for the Fastest Delivery to most of North America. May we assist you with your Stressless Recliner office chair, Ekornes Furniture, Stressless Sofa or other backcare item? Please call 1-888-486-9463, click to Live Chat, or email stressless@unwind.com to connect with a Stressless Office Chair Specialist. Ekornes' amazing efforts in Stressless Technology are culminated in the Consul Office Chair. It's no wonder they are exclusively endorsed by the American Chiropractic Association. The "Comfort Test"™ - is a set of descriptive questions that help determine the "perfect fit" for you. We look forward to helping you relax and unwind to the fullest- Even while you work! The Consul Office Dimensions are: 29.5" Wide x 42.5" - 45.25" High x 28" Deep. The seat can be set to anywhere from 17.75" off of the ground to 20.5". This is due to the "Gas Lift" lever. The Consul may seem "basic" in its lack of frills and fuss but this is the practical way to get astronomical levels of comfort at a "Ground Floor" price. The styling is faintly similar to one of the newer models: The Crown Office Chair. They both lend to a more traditional form of design with the rounded edges and simplistic design that allows for a model that seems visually similar to a large percentage of Office Chairs available. However, it takes less than a moment to sit down in one of these beauties and learn the difference. They say, "Seeing is Believing". We, at Unwind, believe that "Sitting is Believing". I received my Ekornes Consul Office chair yesterday. I was a bit worried about ordering a chair without sitting in it first, but as a previous owner of Ekornes, I was not disappointed. My only complaints are that the chair height is perhaps a half inch too high for me (I'm 5'1"), but I can get a foot rest and the arm rests are a bit low. Nevertheless, I am very pleased with the overall comfort and quality of the chair. Your chat customer service people were great and the purchase and the delivery was painless. I would not hesitate to order from Unwind.com again. I really like my Stressless Consul office chair, but I have to admit... I wish I could afford the Stressless Magic one instead. The Magic has more padding and an adjustable headrest to boot.